Visit one of the many beautiful parks and public spaces in Indiana. Follow our "Places to Play" board on Pinterest for more ideas! The Indiana Department of Natural Resources maintains many state parks and reservoirs, fish and wildlife areas, state forests, ﻿trails, nature preserves, and more! Camp, fish, hunt, hike, ride, canoe, bike, or just get out and explore! Learn more and see locations at the DNR website! Plug-In To Nature is a new community resource associated with a variety of Northeast Indiana conservation organizations. Find events and programs in your area along with local environmental news and locations to visit that will get you in touch with nature! Indiana is home to three National Parks! Follow our boards on Pinterest for tips on outdoor activities, places to visit and more! wildlife you can spot on a walk through your neighborhood! 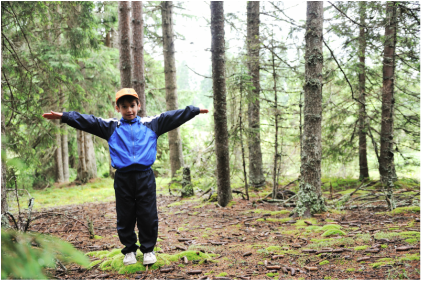 Get more ideas for experiencing nature close to home on our Resources page.